Firefighter Flag 3'x5' polyester flag with white header and two grommets. Most flags have four rows of stitches on the fly and two rows on the top, bottom, and header side. Image is screen printed and appears on both sides. 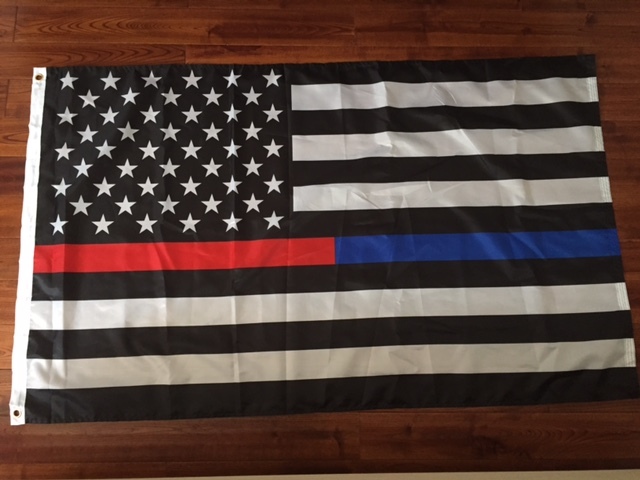 Firefighter Flag - Loyal to Our Duty 3'x5' polyester flag with white header and two grommets. Most flags have four rows of stitches on the fly and two rows on the top, bottom, and header side. Image is screen printed and appears on both sides.